A few years ago Ald. Silverstein blocked the owner of Green Gate Chicago, a medical marijuana dispensary, from opening his business in the 50th Ward. Despite widespread community support, and the promise of jobs for neighborhood residents, Silverstein, who initially could not explain her opposition to the project, finally alleged the business would be too close to where children play in Warren Park. In fact, at the Zoning Board hearing, a child testified that he was afraid that medical marijuana users would force him to become a dope addict. 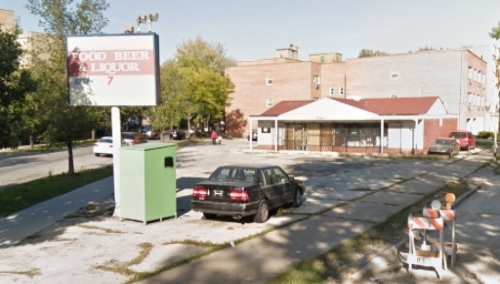 That carefully rehearsed testimony–and Silverstein’s opposition–ended the opportunity to bring Green Gate and its jobs to the 50th Ward, and to replace a taxi parking lot with the beautifully landscaped and fully-secured dispensary. Green Gate subsequently opened in Rogers Park over the objections of neighbors who worried it would increase crime in the area and lower property values. Green Gate is now a thriving business whose clients have not attempted to force dope on children. The facility and its environs are as free of crime as they were before the dispensary opened. The jobs and taxes that might have benefited the 50th Ward now benefit the 49th. As you know, the United States is experiencing an opioid abuse crisis. Illinois law has recently been amended to permit the use of medical marijuana to treat conditions formerly treated by opioids. On Saturday, Dec. 8, Green Gate is sponsoring an informational meeting on the Illinois Medical Cannabis Pilot Program and the Opioid Alternative Cannabis Program. The 90-minute session begins at 10:30 a.m. at Charmers Cafe, 1500 West Jarvis. In his announcement of this important meeting, 49th Ward Alderman Joe Moore notes that the use of medical marijuana requires a prescription from a physician and registration with the Illinois Department of Public Health . Among the debilitating conditions that qualify for the use of medical marijuana are cancer, Alzheimer’s disease, rheumatoid arthritis, muscular dystrophy, Crohn’s disease, and multiple sclerosis. Qualifying patients can be registered for the medical marijuana programs at the meeting. Green Gate is located at 7305 North Rogers. 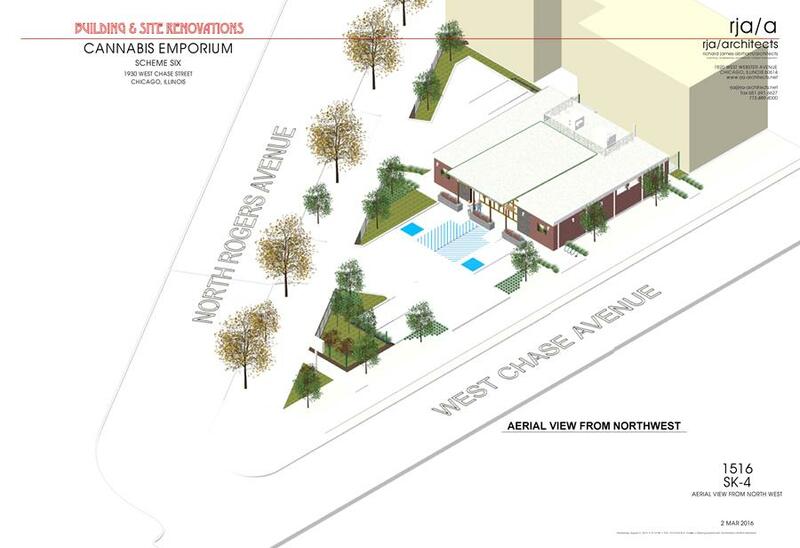 It appears that another ward will profit from the alderman’s wrongheaded refusal to permit a medical marijuana dispensary (MMD) to open in West Ridge, thus depriving the 50th ward of much-needed jobs and sales tax revenues, not to mention a lovely landscaped business gracing Western Avenue. Remember the Greengate Compassion Center? The MMD had applied last year to build its facility at 6501 North Western Avenue in West Ridge. The alderman immediately announced her opposition, then clarified it twice before finally blocking it in the Zoning Board of Appeals (ZBA). In fact, so sure was she that the MMD would not be approved that she proposed a zoning change ordinance for the site two months before the ZBA’s final decision was announced. To preserve the illusion of a disinterested ZBA making an independent decision, that ordinance was tabled for a couple of months before the change from commercial to residential became law. “Earlier this year, Mr. Kingsley identified a potential site at 1930 W. Chase, located at the northeast corner of Chase and Rogers. For many years, the site was home to Rogers Pantry, a convenience store that primarily sold packaged liquor. Rogers Pantry went out of business several years ago and the building has been standing empty ever since (see photo below). Until recently, three licenses to operate home day care centers existed within 1,000 feet of the property. For various reasons, none of the license holders actually operated day care centers out of their homes, but because the licenses were on the State’s registry, Mr. Kingsley could not receive a license to operate a dispensary at the Rogers Pantry location until the licenses expired or were withdrawn.” That has now happened. The meeting will take place at 7 p.m. on Wednesday, September 28, at the Pottawattomie Park Field House, 7340 North Rogers. Will Silverstein Support Downtown MMDs? Next month the City Council will vote on a proposal to change zoning so that medical marijuana dispensaries could operate in Chicago’s Loop. Right now, all proposed sites are too near day care centers or schools so the zoning change is required. The proposal is backed by Finance Committee Chairman Ald. Ed Burke. Silverstein blocked the zoning change required for the proposed dispensary in the 50th Ward, claiming that rules applying to the proximity of dispensaries and schools should also apply to dispensaries and parks. Officially she was neutral, which is the kiss of death for anything she opposes. It will be interesting to see how Silverstein votes. A “no” vote is likely because a “yes” vote would mean she’s a hypocrite. Besides, voting against would carry no political consequences since there’s reportedly enough support to pass the ordinance without her involvement. It’s just like her vote against the Mayor’s budget. The Loop will get the benefit of jobs and taxes from such sites, and the 50th Ward will continue to observe rather than participate in opportunities for economic improvement. Does This Resolution Make Sense? 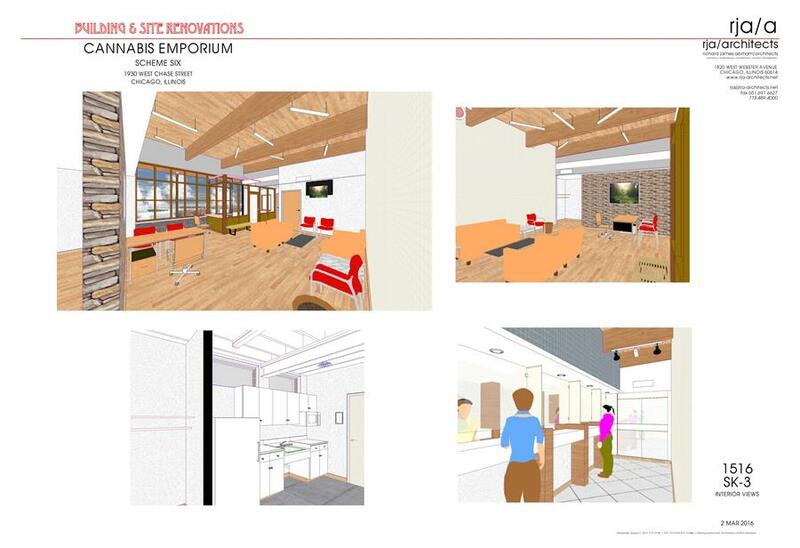 Last December Chicago’s Zoning Board of Appeals denied the appeal of its decision not to permit Green Gate Compassion Center to open a medical marijuana dispensary in the 50th Ward. The alderman did not want the MMD although she was officially neutral. In a comedy of doublespeak, the ZBA explains in its denial of the appeal that it was all Green Gate’s fault for presenting its information to the ZBA when the Board had only four members instead of five. One position was vacant for several months. Read the ZBA decision here. Then laugh or cry as you see fit. It’s your government at work. The real reason appears to be quite different. It seems that the alderman already had other plans for the site. Tomorrow, Feb. 9, at 10 a.m., the City Council’s Committee on Zoning, Landmarks, and Building Standards will meet to approve a zoning change requested by the alderman for the site where the dispensary might have stood. Zoning will change from C2-2 Motor Vehicle Commercial District to RS2 Residential Single Unit (Detached House). The zoning request was referred to the Zoning Committee on October 14, 2015. The dispensary’s application was still on appeal at that point, and the final decision not to hear the appeal was not made until December 18, 2015. A medical marijuana dispensary that would have employed neighborhood residents, primarily veterans of the U.S. Armed Services and the disabled, was blocked by the alderman in favor of building one or more private houses that will no doubt be beyond the financial reach of most neighborhood residents. Current ownership of the lot could not be verified because the Assessor’s Web site could not be accessed. It will be interesting to see who buys the property (now officially “Off Market,” per Loop Net), who develops it, and who buys the house(s). Lot size is reportedly 10,000 sq. ft. so it’s possible that more than one house will be built. Whether or how the existence of private housing immediately next to Warren Park will affect future events in the park is unknown. You can bet there’ll be donations to the right political coffers. In a ward whose alderman operates with such a complete lack of transparency, and whose behind-the-scenes maneuverings are so well-known, it’s always best to follow the money. This farce is another example of the alderman’s version of economic development: If it works for the few and the moneyed, it’s a good thing. Chicago Municipal Code zoning regulations can be found here. While reading the alderman’s 2015 year-end review as well as her recent newsletter recap, I noticed that a few items were left out. I thought I’d add them here. Voters in some precincts urged to vote for Rahm Emmanuel rather than Chuy Garcia. According to 41st Ward Ald. Anthony Napolitano, a medical marijuana dispensary was approved in his ward despite his opposition because Mayor Emanuel wanted to get back at him for his “no” vote on the property tax increase. Napolitano is quoted in DNA Info as saying that he is “furious” that the dispensary was approved, especially since ownership of it changed just before the three-hour hearing commenced. The only “no” vote on the Zoning Board of Appeals came from Commissioner Sheila O’Grady, who also killed the proposed Green Gate Compassion Center in West Ridge. Is it good public policy for a zoning board commissioner to be so close-minded about a specific type of business? Too bad Emanuel doesn’t want to punish the 50th Ward’s alderman, Debra Silverstein, who also voted against the property tax increase. But Silverstein supported the mayor 98% of the time, according to a recent study from UIC, whereas Napolitano defeated another Rahm 98% supporter, Mary O’Connor. Maybe that’s the real reason behind the ZBA decision. 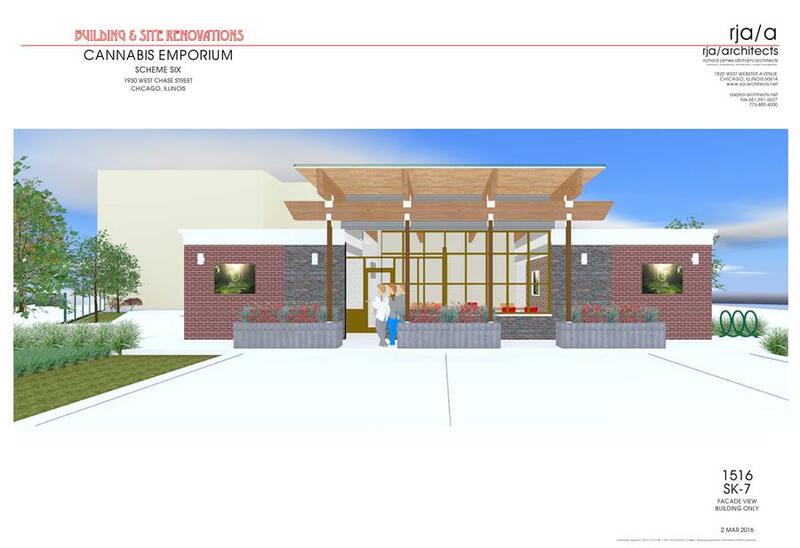 The Green Gate Compassion Center, a licensed medical marijuana dispensary that would have been located on Western Avenue next to Warren Park, has been denied reconsideration of its application by the Zoning Board of Appeals. According to DNA Info, this time the vote was 5-0 against, instead of the 2-2 tie that blocked its original application. The online newspaper also reports that Alderman Silverstein opposed reconsideration. The fifth vote against Green Gate was cast by the newest member of the Board, Blake Sercye, an attorney with Jenner & Block. He ran for Cook County Board Commissioner in 2014 and lost, although he had the backing of both the Mayor and County Board President Toni Preckwinkle. Widespread community support, jobs for residents, nearly $500,000 to be invested in property improvements, and relief of pain and suffering for patients authorized to receive medical marijuana were all meaningless to the ZBA, swept aside by the alderman’s insistence on misapplying the law and the well-rehearsed testimony of a child. The denial of the request for reconsideration is yet another example of the alderman’s indifference to building economic opportunity in the 50th Ward as well as her practice of overruling community input and doing what she wants regardless of the community’s wishes.